When it comes to fashion, we all know the Kardashians pretty much slay 100% of the time. And the trend-setting reality-star sisters recently pared down their outfits to semi-matching, barely there, metallic ensembles for the Balmain show during Paris Fashion Week, and (as expected) they’re absolutely glowing! For the French fashion house’s exclusive after party, the two dynamos were spotted in the latest S/S ’17 designs and they’re totally gorg in metallic gold sheen. 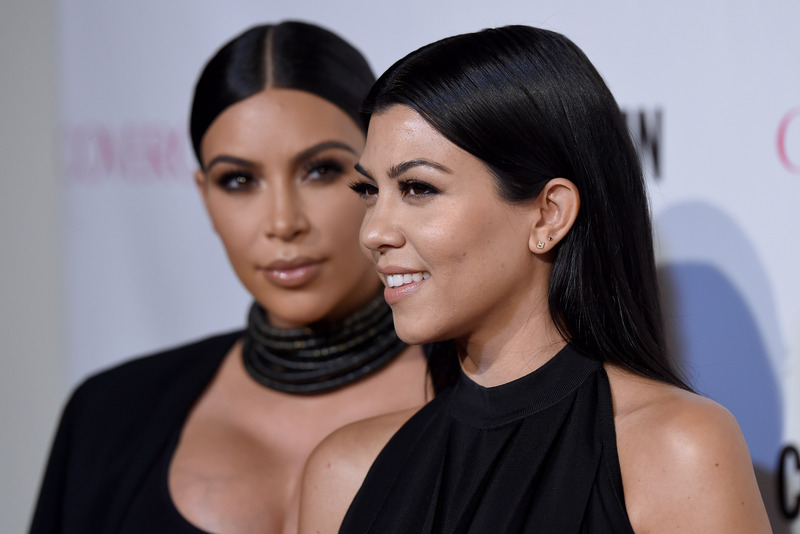 Plus, when you’re a Kardashian, you don’t only get one rad piece to rock—you get two! “Balmain afterparty, took this straight off the runway,” Kardashian West said. “I took all the metal mesh, you guys, Kourtney’s gonna wear something too,” she said in another brief clip. In true Kimye style, Kardashian West toted her look almost exactly as the runway model, complete with clear Yeezy heels (obviously), trademark oversized sunglasses, and his-and-hers matching diamond grills with husband, Kanye West who accompanied in a backwards denim jacket, because why not? If you’re going to do fashion week of any kind, you might as well set the gold standard! Kourtney took some time deciding on what exactly she was going to wear, and (as she showed us on Snapchat), first tried on a shimmery gold tank before ultimately deciding on her silver bra. The Kardashians did it again (not that we’re surprised). Now our only question is: how can we get our hands on these outfits? !